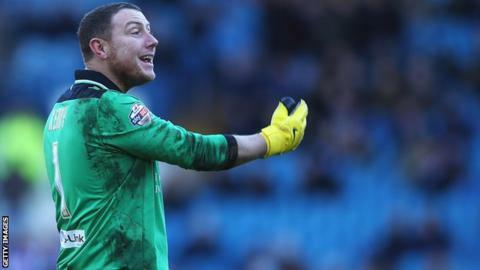 Ipswich Town have signed goalkeeper Paddy Kenny on a four-month contract. The 36-year-old left fellow Championship club Bolton on Monday, having failed to play a match during his short spell with Wanderers. Kenny will cover for Dean Gerken, who is out with a hip injury, and challenge Bartosz Bialkowski for a spot in Mick McCarthy's starting line-up. Meanwhile, midfielder Kevin Bru has signed a new deal until 2018, with the option of a further year. The French-born Mauritius international, 26, has featured 21 times for Town since joining on a free transfer in the summer. But Hungarian striker Balint Bajner, who was signed on the same day as Bru, has been released by the club, after making seven appearances. Former QPR and Sheffield United keeper Kenny will be in the squad for Wednesday's Championship game at Brighton, with Ipswich second in the Championship, a point behind leaders Bournemouth. However, Mick McCarthy's side will be without midfielder Luke Hyam, who is expected to be out for up to six weeks with a knee injury.